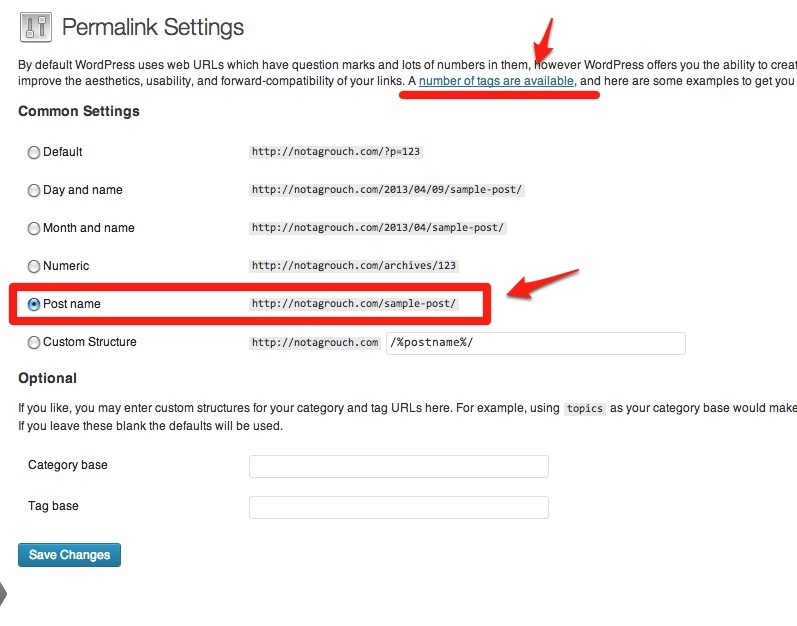 One of the very first things you must do on WordPress is to setup your permalinks. You actually don’t have to do this, but it’s a good idea to customize your permalinks. Especially on your new Free Website. This is one of the things we let you customize because it is a personal choice. The second example is much easier to read. There may also be SEO benefits when you use words in the URL. This last section of the URL is called “the slug”. That term may come in handy later on as you learn more about WordPress. 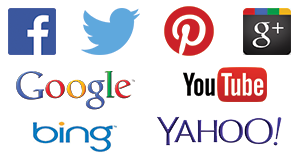 It is recommended that you setup your permalinks with something that is more relevant to your website. A popular choice as of lately is to use the post name as part of the URL. To set this on your new WordPress website, visit your Dashboard, then go to Settings and to the Permalinks Section. There are other options you could choose from, but this example uses the post name as the selected option. See the screenshot for details. You’ll need to save your settings after you change them. Pay close attention for a warning that may pop-up after you click on save changes. Sometimes, some hosts will not allow you to save your permalinks automatically. This warning will advise you of that problem in case it comes up. You could also look through the quick-start guide for other beginner steps when setting up your WordPress site. That’s a quick guide that I’ve created for the Free WordPress website system I offer.